It is fun to have a beach house kitchen. The various elements of the beach are very relaxing. 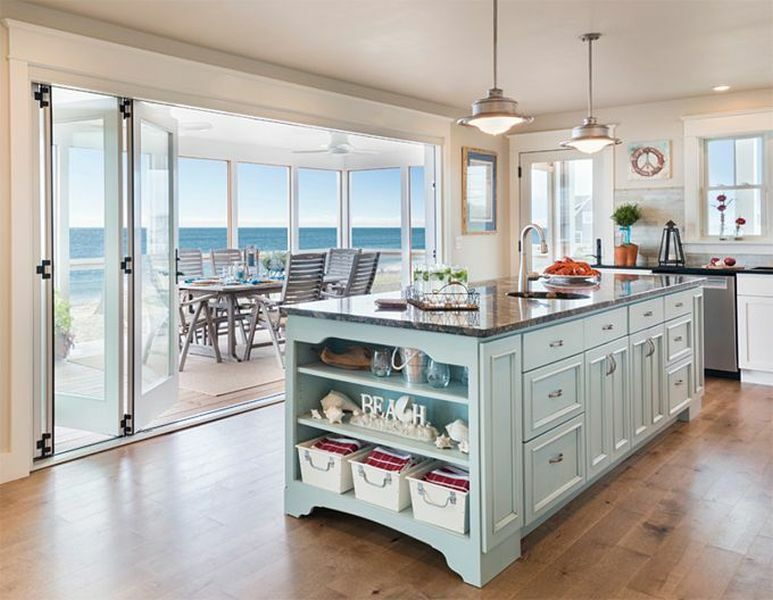 Having a beach house kitchen concept is perfect for people who love to sit in the midst of the sun and sand. The coastal feel of such a kitchen makes you feel close to nature. While renovating your kitchen for this particular concepts, here are some things you have to keep in mind to get the maximum benefit of the look. Going with bright colors is an ideal way of resembling the bright summer day. For the beach effect, opt for colors like tan or light browns. Natural stone backsplash and other such beautify concepts will also enhance the look of your kitchen. You also have a choice of going for tiles since they are long lasting and easy to clean. When selecting this kind of concept, open spaces, wooden shacks, seashells, oceanic prints are all part of the additions that complete the look. Choose decor that resembles various factors of the beach such as the oceanic waves, seashell prints, flying birds etc. You can also design your countertop in the shape of a surfboard. Since this is a beach house kitchen concept, you can choose an outer design for the cook top that resembles the look of a bonfire. The other way to go about this concept is by is choosing a design that resembles a bonfire look. For this, you can opt for a cylindrical shaped base with cabinet space to store your cutlery or baking equipments. Do not miss the chimney because you will surely need it. 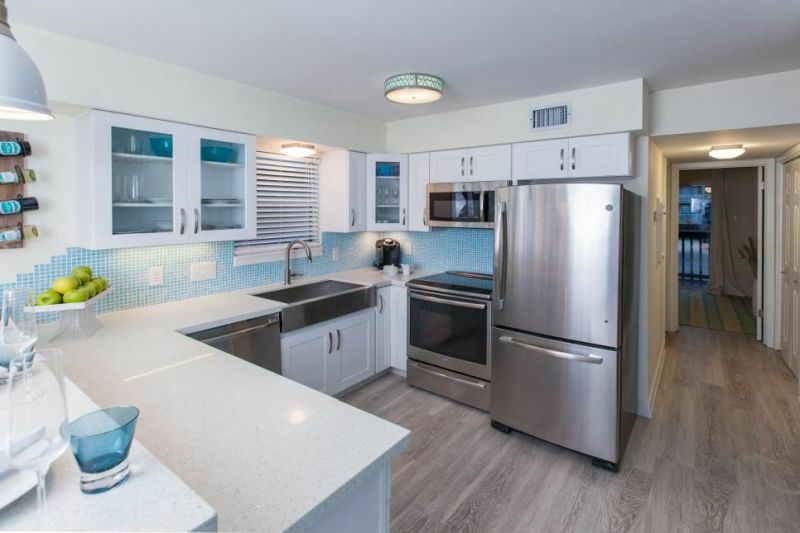 Instead of opting for the regular designs, you can choose cabinets that resemble the beach shacks. The variations of this design are only on the outside. Inside, you can have the standard shape of rectangles and square shaped cabinets. Another way to go about with the beach concept for your cabinets is to have laminations of beach prints. You can make it look like the ocean by putting border stickers of waves. 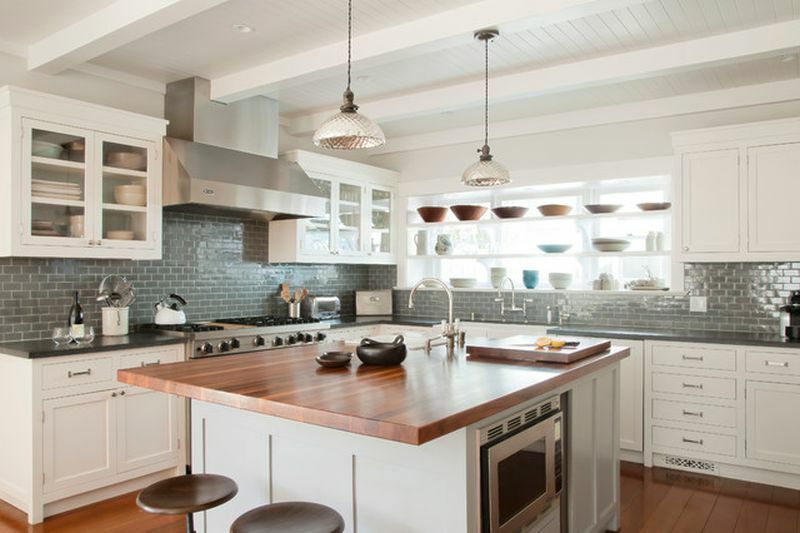 When you look at a beach house kitchen, the lights play a vital role. Choosing spot lights is one way to go about for the look. Other options are to get customized glass painted lighting done in the form of different underwater themes or even the concept of the beach. Long stools, loungers, short wooden bark, umbrellas and other such furniture are all part of the beach. You can bring these elements to the seating arrangement of your kitchen. If you plan to use a lounger, you can consider having it on one side with table height that is either half way down or a little up. Having a kitchen island will be a perfect option considering the theme. 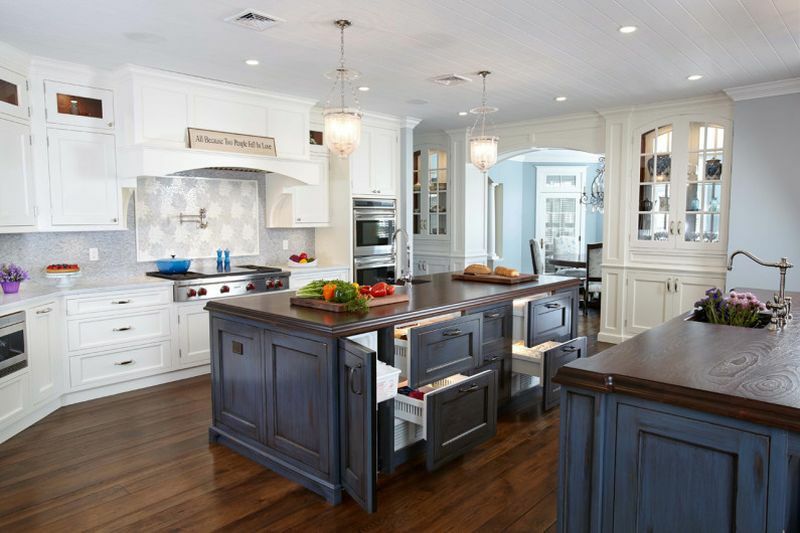 In the beach house kitchen concept, the kitchen islands are generally big in size. Consider using a chest of drawers or even have multiple shelves to bring in the look. A bi-level island would be perfect if you plan to have the dining area within the kitchen you can customize it by putting in these small elements like seashells, Mason jar centerpieces, and flowers or even have a nice fruit basket. Nice long windows will always give you a great view. You can opt for the full length or 3/4th length depending on the space that you have. Instead of curtains, you can consider shades. To decorate around the windows with consider elements like the fishing net, plants, etc.